A good introductory presentation with a lively question and answer session. 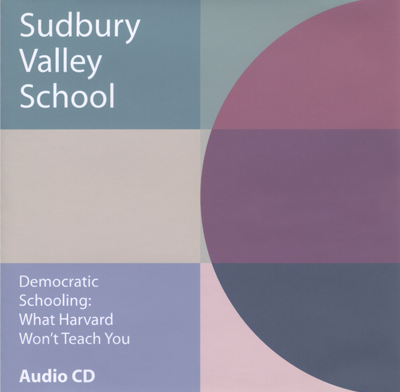 Given to an audience composed of graduate students at the Harvard School of Education, at an event organized by their representatives Sudbury Valley staff member Mimsy Sadofsky, together with student Anna Rossetti, presented an overview of the concepts underlying the school, and its day to day practices. Since the school was unknown territory to many of the attendees, the talk, and the question and answer session that followed, introduced the listeners to a whole new way of thinking about education and schooling.